* These are really cool! Each set has several pieces, including 2 large shrines or altars. You get everything in the photo. 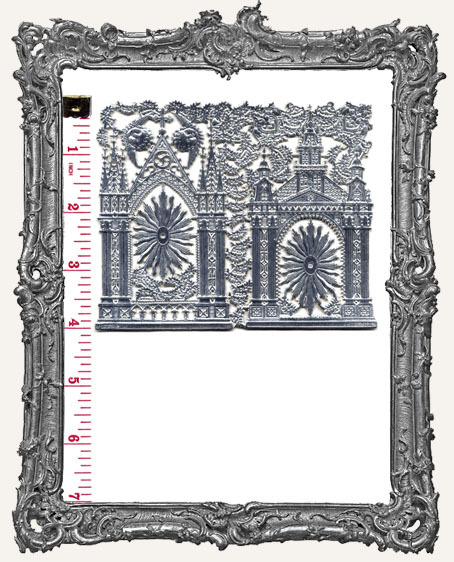 The large altar pieces measures approximately 3-7/8" tall (including the cross at the top) x 2-1/4" wide. They would be great for Artist Trading Cards (ATCs)! They have colored foil on the front and back.